Background/Purpose: The anti–interleukin-6 (IL-6) receptor-alpha antibody tocilizumab (TCZ) demonstrated numeric improvement in skin thickening (modified Rodnan skin score [mRSS]) and clinically meaningful lung function preservation (forced vital capacity [FVC]) in patients with systemic sclerosis (SSc) in a phase 2 randomized controlled trial.1,2 Efficacy and safety of TCZ vs placebo (PBO) in patients with SSc are now reported from the double-blind period of a phase 3 trial (NCT02453256). Methods: Patients with SSc were randomly assigned 1:1 to receive weekly double-blind injections of subcutaneous TCZ 162 mg or PBO for 48 weeks. Patients could receive escape therapy from week 16 if they experienced declines in FVC or from week 24 if they experienced worsened mRSS or worsened SSc complications. The primary end point was difference in mean change in mRSS from baseline to week 48 for TCZ vs PBO. Key secondary end points were change from baseline in percent predicted FVC at week 48 and time to treatment failure (time from first study treatment to first occurrence of death, decline in FVC >10%, increase in mRSS >20% and mRSS ≥5, or occurrence of predefined SSc-related complications). Results: Among 212 randomly assigned patients, 81% were women; baseline mean values were age 48 years, SSc duration 23 months, mRSS 20.4, and percent predicted FVC 82.1% (210 patients were treated [PBO, 106; TCZ, 104]). At week 48, the primary end point (change in mRSS) was not met but improved numerically (PBO, -4.41; TCZ, -6.14; adjusted difference in least squares mean, -1.73 [95% CI: -3.78, 0.32]; p = 0.098) (Figure). Therefore, all other p values were considered nominal. The cumulative distribution of change from baseline to week 48 in percent predicted FVC favored TCZ over PBO (median [IQR]: PBO, -3.9 [-7.2, 0.6] vs TCZ, -0.6 [-5.3, 3.9]; van Elteren p = 0.0015). The difference in mean change from baseline in FVC at week 48 was 167 mL (95% CI: 83, 250) in favor of TCZ. Preservation of lung function with TCZ was shown by change from baseline in FVC over time (Figure). The hazard ratio (95% CI) for the time to treatment failure end point was 0.63 (0.37, 1.06) in favor of TCZ (Cox proportional hazards model; p = 0.082). Safety was consistent with known complications of SSc and with the safety profile of TCZ; serious adverse events were reported by 17% of PBO patients and 13% of TCZ patients; serious infections were reported by 7% and 2% of patients, respectively. Conclusion: The primary end point was not met; however, clinically meaningful and consistent differences in FVC were shown in 2 randomized controlled trials. Time to treatment failure is supportive of a clinical benefit of TCZ in SSc. References: 1. Khanna D et al. Lancet. 2016;387:2630-2640. 2. Khanna D et al. Ann Rheum Dis. 2018;77:212-220. Medical writing: Sara Duggan, PhD, funded by F. Hoffmann-La Roche Ltd.
Disclosure: D. Khanna, None; C. J. F. Lin, Genentech, Inc., 3; M. Kuwana, Actelion, 2,Chugai, Bayer, Boehringer Ingelheim, Corbus, 5,Chugai, Actelion, 8; Y. Allanore, Roche, Sanofi, Inventiva, BMS, Pfizer, 2,Actelion, Boehringer, Roche, Sanofi, Inventiva, medac, Bayer, BMS, Pfizer, 5; A. Batalov, None; I. Butrimiene, None; P. Carreira, None; M. Matucci Cerinic, None; O. Distler, Actelion, Bayer, Boehringer Ingelheim, Mitsubishi Tanabe Pharma, Roche, 2,Actelion, AnaMar, Bayer, Boehringer Ingelheim, ChemomAb, espeRare foundations, Genentech/Roche, GSK, Inventiva, Italfarmaco, Lilly, medac, MedImmune, Mitsubishi Tanabe Pharma, Novartis, Pfizer, Sanofi, Sinoxa, UCB, 5,mir-29 for the treatment of systemic sclerosis licensed, 9; D. M. Kaliterna, None; C. Mihai, Roche, Actelion, Geneva Romfarm, 5; M. Mogensen, None; M. Olesinska, Roche, 5; J. E. Pope, Lilly, 5; G. Riemekasten, Roche, Chugai, 9; T. S. Rodriguez-Reyna, Roche, 9; M. J. Santos, None; J. van Laar, Roche, 5,Genentech, Inc., 2; H. Spotswood, Roche, 1,Roche, 3; J. Siegel, Genentech, Inc., 1,Genentech, Inc., 3; A. Jahreis, Roche, 1,Genentech, Inc., 3; D. E. Furst, Roche/Genentech, 2; C. P. Denton, GSK, CSF Behring, Inventiva, 2,Roche/Genentech, Actelion, GSK, Sanofi, Inventiva, CSL Behring, Boehringer Ingelheim, Bayer, 5. Khanna D, Lin CJF, Kuwana M, Allanore Y, Batalov A, Butrimiene I, Carreira P, Matucci Cerinic M, Distler O, Kaliterna DM, Mihai C, Mogensen M, Olesinska M, Pope JE, Riemekasten G, Rodriguez-Reyna TS, Santos MJ, van Laar J, Spotswood H, Siegel J, Jahreis A, Furst DE, Denton CP. 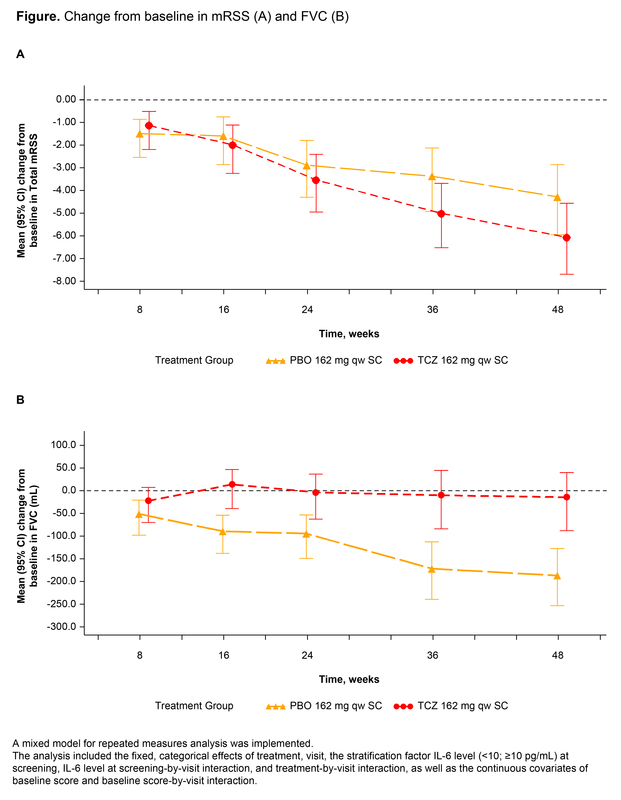 Efficacy and Safety of Tocilizumab for the Treatment of Systemic Sclerosis: Results from a Phase 3 Randomized Controlled Trial [abstract]. Arthritis Rheumatol. 2018; 70 (suppl 10). 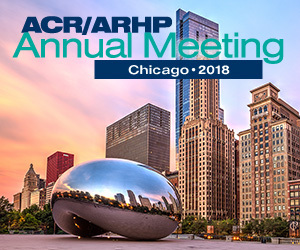 https://acrabstracts.org/abstract/efficacy-and-safety-of-tocilizumab-for-the-treatment-of-systemic-sclerosis-results-from-a-phase-3-randomized-controlled-trial/. Accessed April 22, 2019.